Many people have a certain idea of what prayer is. Call and response. Prayers of unison. Joys and concerns. The Lord’s Prayer recited. Words spoken aloud, usually to petition God for a certain sense of presence or activity on behalf of God’s people. Maybe there are a few token beats of silence, but most faith communities this side of the Quakers speak much, ask for much, state much about what they believe in prayer. We tell God what we hope for; we share with God our deepest longings for parts of the world, for loved ones, and for ourselves. Fortunately, more and more praying people are discovering listening as the other important element of prayer. We can’t always be doing all the talking. After all, even though the pinnacle of the campaign has long passed, some people still like to say that God is still speaking. The writer of Ecclesiastes claimed there is a time to be silent and a time to speak. But when we bring our anxious selves with urgent needs to God, it can take quite a lot of effort to quiet down long enough to hear what God has to say. And yet it is unavoidable that this happens, and we are tempted to give into the distraction and abandon the exercise altogether. We may even be thankful for the distraction. After all, what might we risk hearing from God if we really were quiet enough to listen? This works not just with prayer but with people. Have you ever felt a need to stay involved in a conversation by clamoring to think of what to say after the other person is done speaking? In doing so, have you really been listening? What would happen if you really were listening instead? What part of their story are they sharing with you, and why? What could you be learning about the world from what they’re saying? Our society seems to be short on listeners nowadays. Thanks to how much more interconnected we are through various forms of media, there are many more voices aching to have their stories heard. Really, the voices were always there, but for many in recent years this is their first chance to share their experience. They are stories of indifference, exclusion, dismissal, abuse, rejection, and suspicion. They are stories that many still would rather talk over than hear; to overlay one’s own story in an attempt to disprove or downplay what is being shared. Sometimes distractions work to our advantage, because they keep us safe. They keep us from hearing things that are unpleasant; that will upset the foundation of our worldview. If I can’t hear it, then I can’t absorb it. If I can’t absorb it, then I can’t consider its implications for what I knew before. If I can’t consider its implications, then I don’t need to do anything. If I just talk long enough and loud enough, I’ll be safe. If I submerge myself under a tidal wave of wild and inane images, all shall be well. And yet, what if we listened more intently? What if we practiced the spiritual discipline of being quiet long enough to hear the stories of people different from ourselves? What if we allowed the experience of another to take root within us and break through the hardened shell of what we think we know? It may be that the person inviting us to listen to their story is the one through whom God will have something to say to us. On Sunday mornings before the scripture reading, I invite the congregation to listen for the Word of the Lord. The same Word that speaks to us through the witness of our faith ancestors also speaks to us through the experiences of our fellow earthly pilgrims. 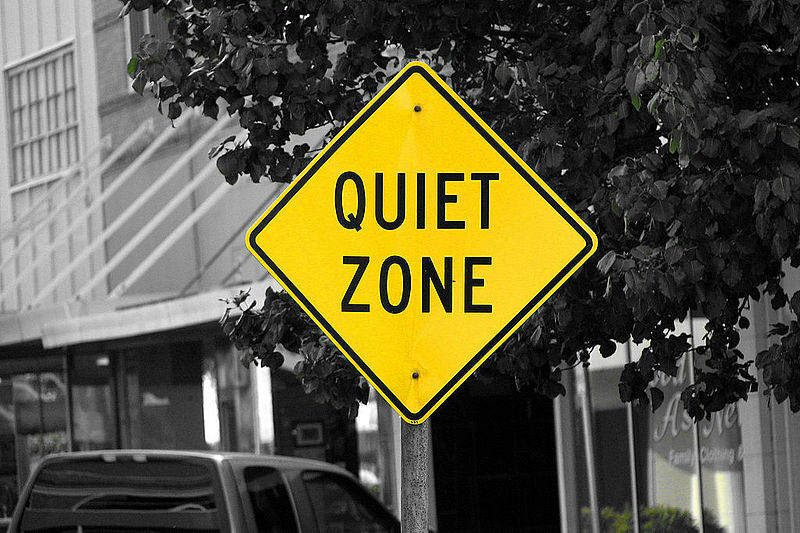 What might we risk hearing from God if we really were quiet enough to listen?